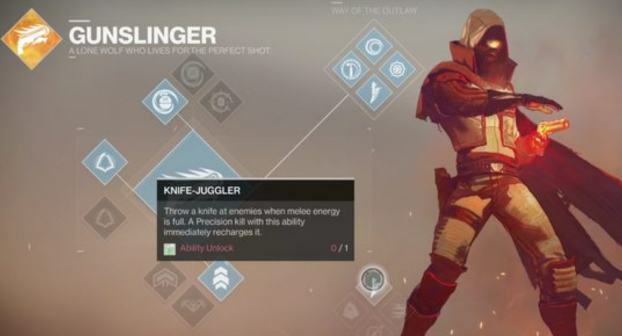 Destiny 2 includes a new upgrade currency called "Upgrade Points" which players can selectively spend on their character subclasses to unlock new abilities. These Upgrade Points are a replacement for the traditional XP Levelling feature that we saw in the original Destiny game. 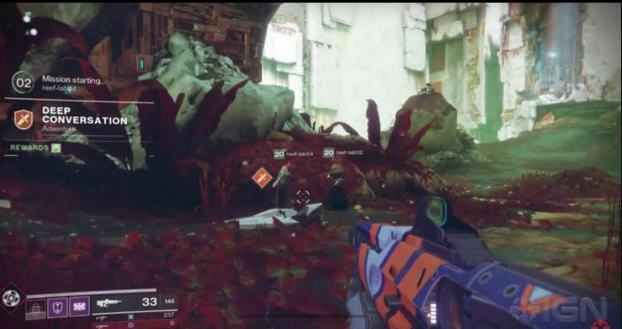 First spotted during one of the IGN First videos, Upgrade Points appeared briefly in the "Nessus Exploration" video. In particular we know that these collectible items are rewards for particular patrol activities. How do you get Upgrade Points? 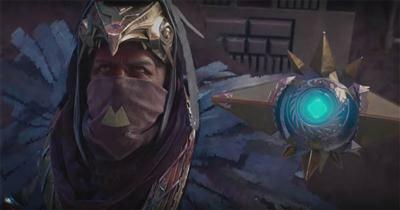 In the Nessus video, an Upgrade Point was shown as the reward for completing an adventure called "Deep Conversation", which the player activated by scanning an environmental object. Take a look at the screenshot above with a keen eye (low quality apologies) and you'll spot the Upgrade Point reward shown below the activity details on the left hand side of the new HUD. We know that patrols are much larger in Destiny 2 and Adventures are just one of several abundant activities that also include Public Events, Lost Sectors and Quests. Luke Smith has hinted that Adventures are non-repeatable activities like quests. Not easily confused with other items, Upgrade Points appear as brightly coloured green icons. As always, inspect activity details to see which rewards are on offer before you venture into them. Players are also rewarded with an upgrade point every time they level up their character. With the maximum character level being 20, you're going to get 20 upgrade points before you start focusing on Power Level instead. So what do Upgrade Points mean for the game as a whole? Well, you can forget about grinding XP for unlocking ALL subclass nodes now - this will no longer be possible. Gone will be the days of grinding missions such as "The Dark Below" and repeatedly killing and wiping as your XP level notches ever slowly upwards. If you were a Destiny 1 player, you'll remember that each node on the subclass tree had a little circular progress bar. These bars would gradually fill up as you used the class and earned more XP. Once nodes were unlocked it was simply a cases of deciding and selecting the active nodes you wanted to use. With Destiny 2, players will need to scourge for new activities, unlock and complete them for the chance to earn Upgrade Points. Once earned, each point can be spent on unlocking individual subclass nodes, incrementally unlocking more and more nodes as you fully unlock the entire class tree. 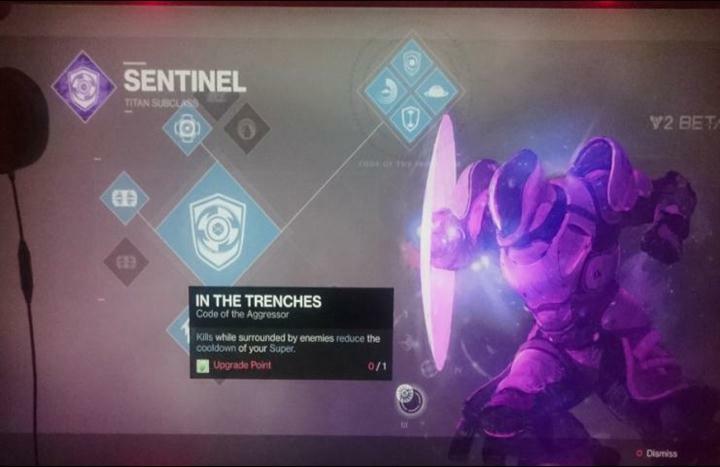 During the IGN video, a single Upgrade Point was required to unlock a particular Titan Sentinel subclass node called "In the Trenches". Currently it is unknown whether the higher level nodes require more than one point but this is possible given that the later perks in Destiny 1 had a slower time-to-unlock ratio. Given the sheer number of subclass nodes in Destiny 2 and with more subclasses planned for the expansions, it would be safe to assume that Upgrade Points are not a one time activity reward, nor are they tied only to patrol activities. There's a good chance that Bungie may lock "bonus" points behind weekly events, bounties and some public events to prevent people from unlocking all subclasses too quickly.